This candle is lighting on the Altar in our Church for our forty parishioners who are walking the Camino de Santiago in Spain this week. The shell is the symbol of the pilgrim and, in particular, it is the symbol for all who undertake the Camino pilgrimage. 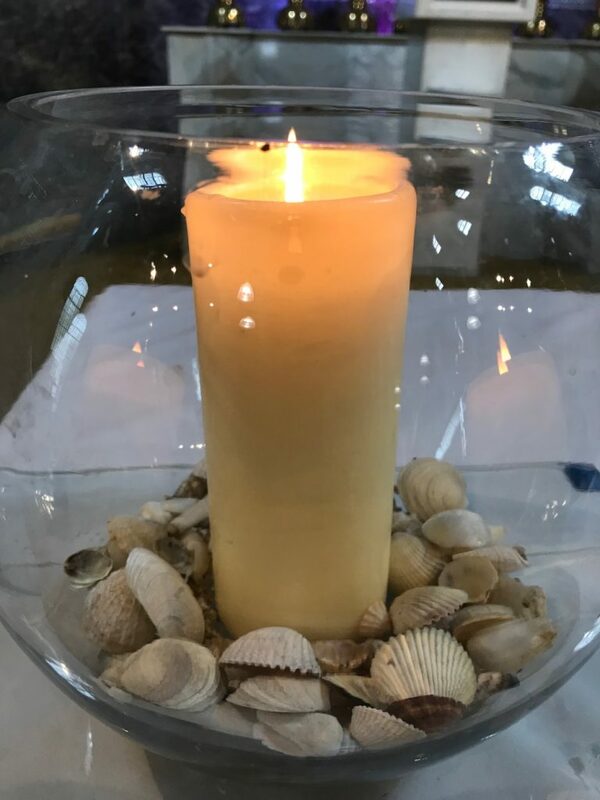 There are forty shells around our candle, one for each of our parishioners, (and a few extra shells for their loved ones and ourselves). We remember them each day and join our prayers with theirs so that we will all share in the graces their pilgrimage will bring. We look forward to hearing them tell us all about their experiences on their return.